"The ability theatre has to excite, teach, and inspire young people should not be underestimated. Donation-based all-ages theatre builds community, and creates opportunities for families to connect during a fun and entertaining evening." The inspiration for creating Goodger-Pink Productions came from Samantha Duff's experience growing up in Okotoks. 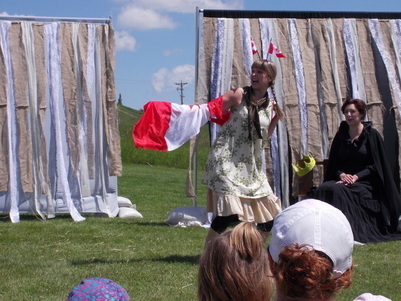 When Samantha was 7 years old, an improv troupe came to town and performed outdoor theatre in the park by the library. It was one of her first experiences with live theatre and she remembers feeling so inspired by the shows she got to see with her family. Because the theatre troupe chose to charge their audiences on a "Pay What You Can" donation basis, seeing live theatre was made financially accessible to everyone in town, including Samantha and her family. It was an opportunity to share quality time with loved ones out side of the house, and to be exposed to something really unique in an otherwise small prairie town. A lot has happened since that improv troupe came to town. Samantha has grown as an actor and a person. She moved away to Edmonton for school, started her professional acting career and traveled a great deal of the world. Okotoks has grown considerably too. New businesses have opened, the population continues to rise and it's become a bustling, vibrant place. 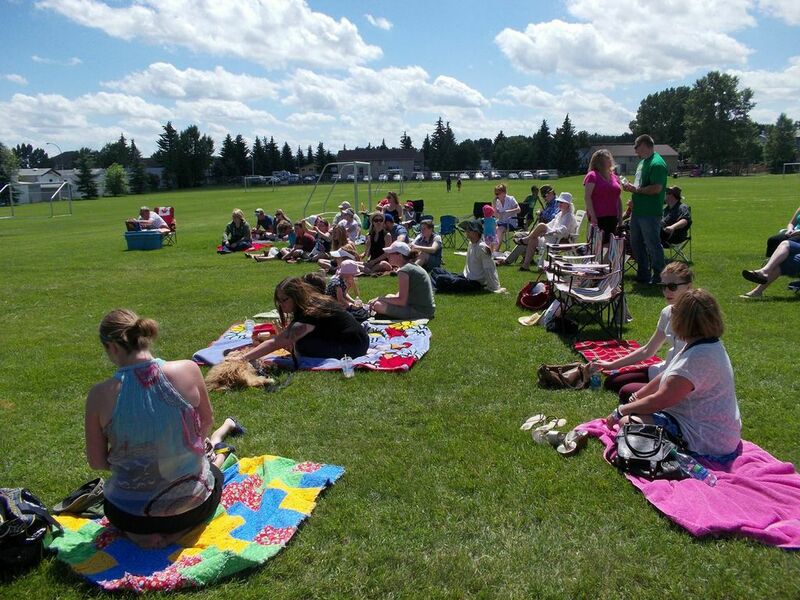 Despite its growth one thing that hasn't changed is how much the people of Okotoks and the surrounding areas value community, family, and a welcoming small town feeling. Since moving back Samantha has been inspired to re-connect with and give back to her hometown by offering the community something she's passionate about, theatre. To the best of our knowledge, nothing quite like Goodger-Pink Productions has been offered to the children and families in the Okotoks area since that improv troupe came to town more than 20 years ago. With your help we're hoping to change that! As a small troupe we are embarking on our commitment to the community with no government grant money and with the intention to make theatre financially accessible for everyone by selling tickets at an affordable rate or on a "Pay What You Can" donation basis. Because of this a great deal of our success can be supported through the generosity of others. Anyone who donates (any amount of money at all, we can use all the help we can get) will have their name posted on our website and in our program at every performance, with a huge THANK YOU next to it. As well, business donors are invited to show their support for us, and in return can receive acknowledgement and advertising space on all our print materials for our show including posters and programs. If donating money is not a possibility, we will thank you just as much if you support us by either coming out to see our show, or spreading the word to friends and families you think might be interested! Thank you in advance for supporting Goodger-Pink Productions and our commitment to providing entertaining, family friendly theatre to Okotoks and its surrounding communities.